← Who wore it best? With knitting, it’s easier to take the work out on a whim and pack it away again. With sewing, not so much, as the sewing machine and general gadgetry are such an integral part of sewing and their unpacking and re-packing take so much time and effort that you really want to squeeze out the maximum sewing to compensate for the trouble. 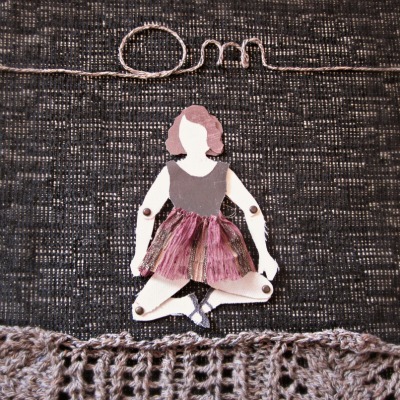 Sewing your garments by hand gives you the same experience (and ohm!) as knitting – hooray for slow crafts! Hurray for you! It’s It’s a great idea. I am exactly the same, Knitting I know will take me an age, which is fine, but I expect a sewn item done and dusted that day! If it’s not I get stressed about it and then leave it unfinished 4 ages. I read on another blog about this goal of trying to sew a little bit here and there like you said and it’s def an idea to try.